There is no ConcurrentHashSet in JDK 8 but you can still create one for yourself by using the ConcurrentHashMap class of java.util.concurrent package. There is a new method added into ConcurrentHashMap in JDK 8, newKeySet(), which allows you to create a concurrent hash set backed by a concurrent hash map. If you remember whenever you get keys from the map they are returned in a Set e.g. for the old keySet() method because map only has unique keys. Since map doesn't allow duplicate keys, it can be used as a set, as long as you only care for keys or just one element. That's why Java designers are added newKeySet() method to convert a map to set. This is also a static method, which means you don't need a ConcurrentHashMap object to create a concurrent hash set. The Set returned by the keySet() method is backed by a ConcurrentHashMap with given keys and values are always Boolean.TRUE. It is also overloaded to accept initial capacity to avoid internal re-sizing. If you know, the HashSet class also internally uses an HashMap where values are always same, an object, which is possible because Map allows duplicate values. Unlike the List returned by Arrays.asList(), which doesn't allow you to add or remove elements, the Set returned by newKeySet() is like any normal Set implementations and allows you add, remove or perform any other Set operation. You can even pass this Set to a method which is accepting a Set interface as a parameter. I'll show this in coming example. Here is our Java program to demonstrate how you can generate a ConcurrentHashSet in JDK 8 by using the newKeSet() method added into java.util.concurrent.ConcurrentHashMap class. Even though I have used an object of the concurrent hash map here, it's not required because unlike keySet(), the newKeySet() is a static method. * which is only available in ConcurrentHashMap class from JDK 8. You can see that you can easily add and remove elements from the Set returned by newKeySet() method. As I said, the Set is backed by ConcurrentHashMap, which means multiple readers can retrieve values at the same time and also multiple writers can insert values into the set without blocking, until the read and write operation is happening in the same segment. You can also see Java Fundamentals: Collections to learn more about the internal implementation of various collection classes of Java API. Btw, If you remember, concurrent hash map never locks the whole map, instead, it divides the map into several segments, by default 16, also knowns as concurrency level and only locks the segment where modification is happening. This means multiple writes is possible if they are happening at different segments. Btw, the concurrent hash set is not only thread-safe set which is available in JDK, you have some more choices e.g. you can use CopyOnWriteArraySet, which is similar to CopyOnWriteArrayList i.e. it copies the whole collection into new one whenever a write happens but because of this behavior they are only useful for a set with small number of elements with infrequent write. 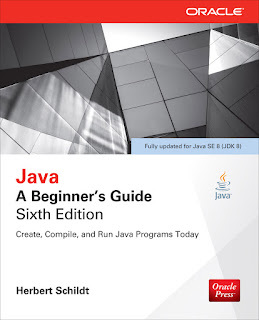 You can further read the Java: A Beginners Guide 6th Edition for more details on concurrent collection classes. That's all about how to convert ConcurrentHashMap to ConcurrentHashSet in Java. This is a nice little tip which allows you to use a map as Set with all the concurrency benefits provided by concurrent hash map without any extra effort. They newKeySet() is like any static factory method, which you can invoke with the class name without even needing a ConcurrentHashMap object. Thanks for reading this article, if you like this article then please share with your friends and colleagues. If you have any question or feedback then please drop a comment.